Wishing everyone the very best for the new year! The new rehearsal and concert schedules are posted. First rehearsal back in 2012 is Monday, 16th January, 2012. There is no rehearsal on the following Monday, but there will be one just prior to the Australia Day Ceremony on Wednesday, 25th January. WASWE will be providing music for the City of Bayswater’s Australian Citizenship Australia Day Ceremony on Thursday 26th January, 10am. 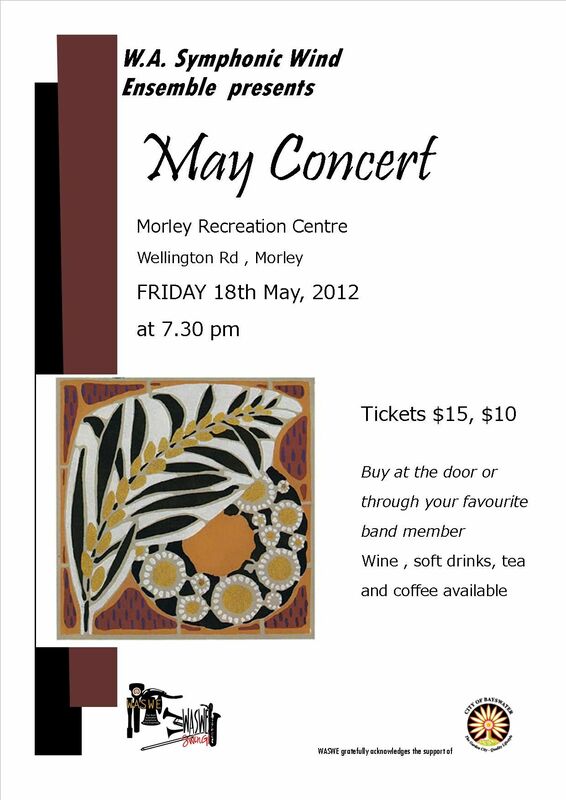 The May concert will be on Friday, 18th May (not Saturday). There is a Southwest tour being planned for the weekend of 24-26 August. Hope everyone has had a safe, happy and healthy period of festivities! 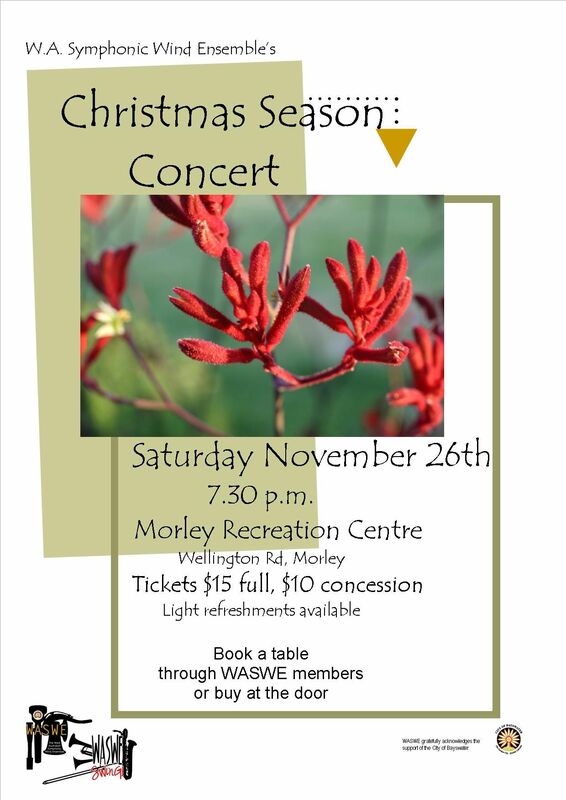 The final WASWE concert for the year will be on 26 November, a week later than originally scheduled. 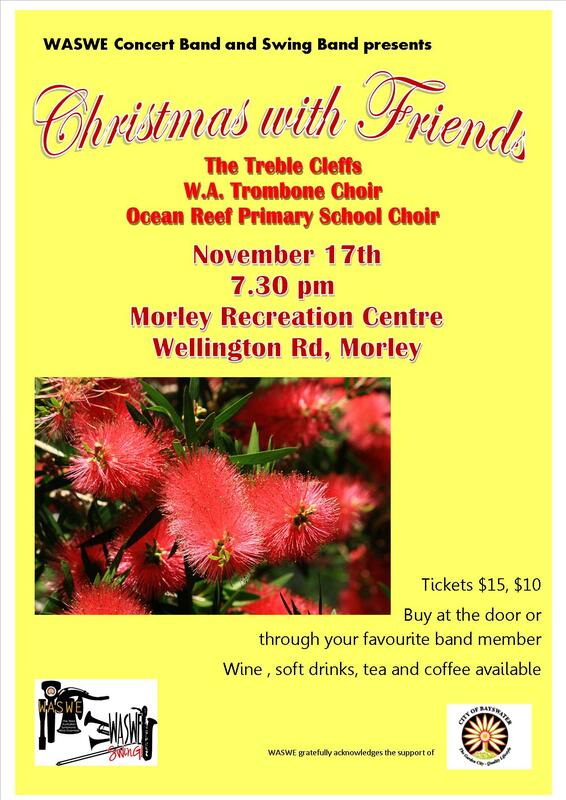 We hope you can join the WA Symphonic Wind Ensemble and Swing Bands for a fabulous night of music! 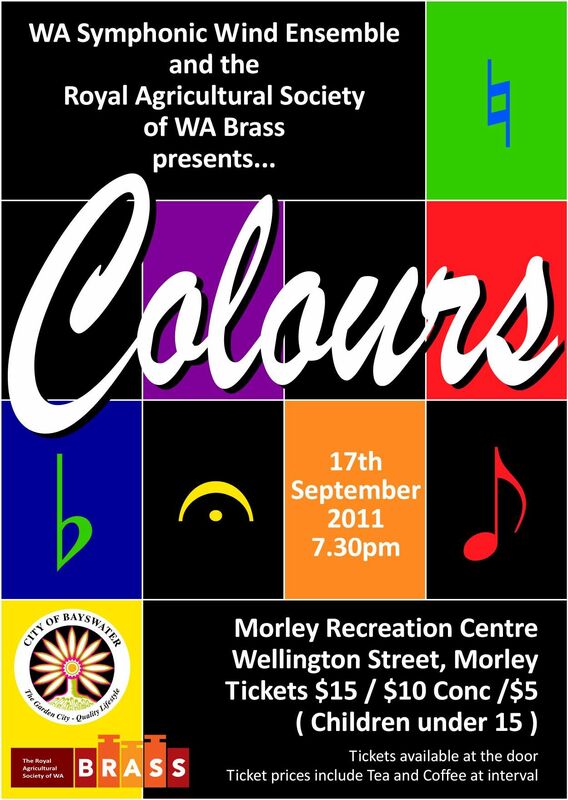 Please join the WA Symphonic Wind Ensemble and the Royal Agricultural Society of WA Brass for a great night of music on Saturday, 17th September 2011, featuring The William Tell Overture, Bohemian Rhapsody and several other pieces performed by the combined ensembles, as well as a variety of music from both bands independently. 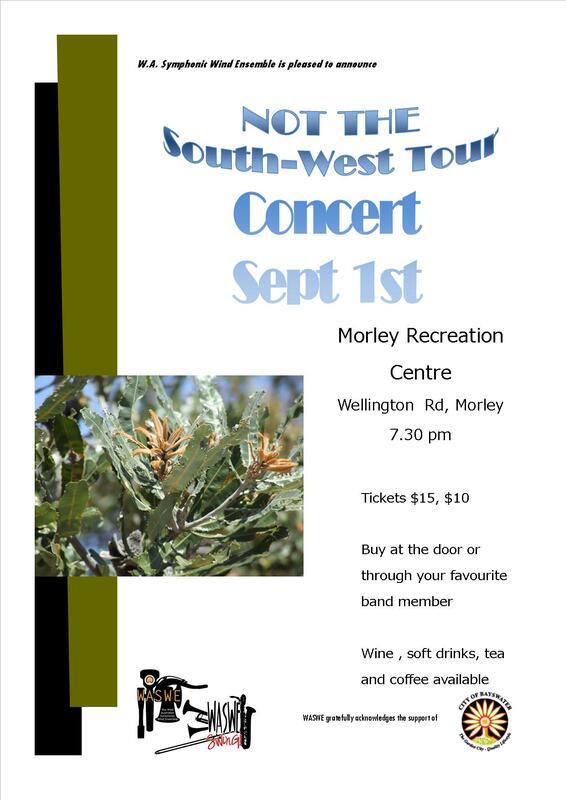 Beer, wine, soft drinks, coffee, tea, cheese & crackers available for sale, or BYO snacks and drinks to enjoy at your table while you listen to the music. The next concert of the WA Symphonic Wind Ensemble will be in combination with the Royal Agricultural Societyof WA Brass. We hope you can join us! WASWE band members — the rehearsal schedule for the remainder of 2011 has been updated. Please check the dates for sectional and swing band rehearsals.